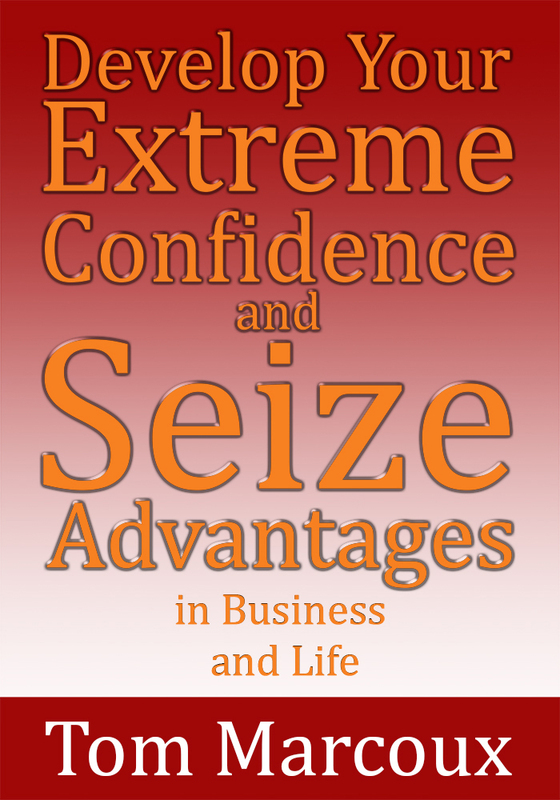 Use Extreme Confidence to Get Clients and Get It Done! “I’m concerned that people don’t get what we offer. They don’t understand our brand,” my new client, Alexandra, said. In response, I guided Alexandra through a number of steps to help her get to the essence of her brand. I’ve noticed that when I guide a client to begin with “Remember …” the person often lands on something that is key to their brand. You say, “Remember” (like at the end of a speech) and then express what you want the person to have as a permanent part of their memory. This method is part of innovation–that is, innovation is looking at a situation from another angle. I’m sharing new insights in my new VIDEO “Power Up Your Compelling Brand through Innovation.” It’s Episode 30 of our YouTube Channel “Introverts Own Your Voice.” Please subscribe. You’ll be supporting me, Johanna and our message. In the video below, I provide some eye-opening insights and methods. You will gain so much because nearly every week we have a new video that will improve your skills so you’ll get that important “yes” you need for your business — to get investors, crucial team members and clients. Get the Advantages to take your business to a higher level. Learn Leadership Advantages, Pitch Advantages, and Success Advantages. To Soar with Confidence, you learn and use principles for top level communication to board members, team members and the media. 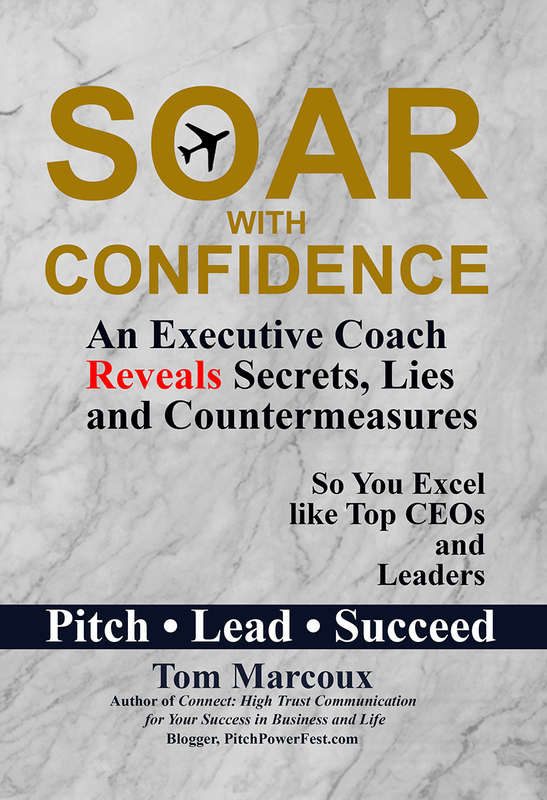 "Soar With Confidence: An Executive Coach Reveals Secrets, Lies and Countermeasures..."
Have Tom Marcoux Speak to Your Company or Association (and at Conferences) … Insights and Laughter! 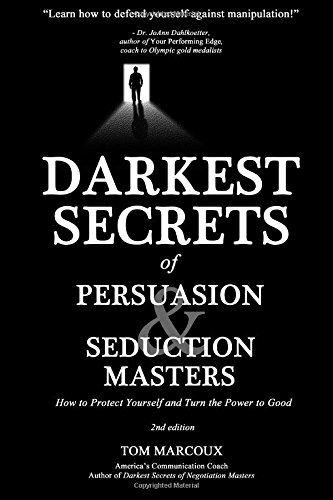 CLICK HERE to Look inside the book "Darkest Secrets of Persuasion and Seduction Masters: How to Protect Yourself and Turn the Power to Good." Thank you!